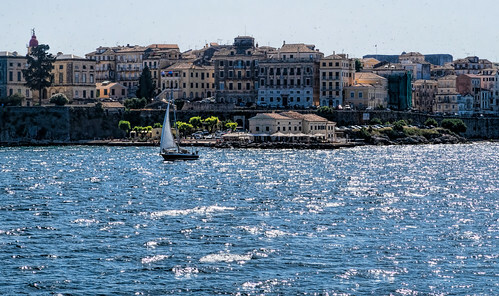 The island of Corfu—known as Kerkyra in Greek—is strategically located at the entrance to the Adriatic Sea. Regularly fought over, the Romans gained control in the 3rd century BCE, continuing with the Byzantine Empire (eastern portion of the divided Roman Empire) from the 4th century CE. In 1386 CE the Venetians took over. They held off multiple attacks from the Ottoman Turks. In 1797 CE Napoleon Bonaparte secretly negotiated the end of the Republic of Venice bringing Corfu under French rule. All the Ionian Islands became a British protectorate in 1815 CE until being ceded to Greece in 1864 CE. 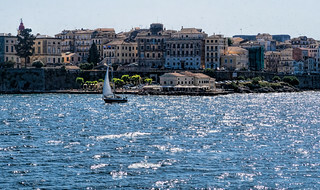 The Old Town of Corfu was designated a UNESCO World Heritage site in 2007.